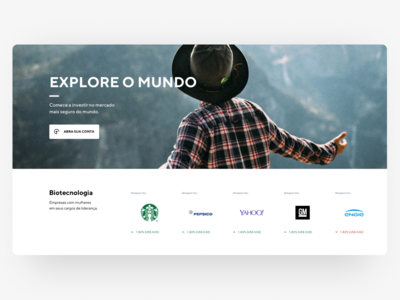 Explore investments worldwide — The Discover page encourages visitors to learn more about companies in various fields. Want Tech? Check how Apple, Microsoft, Google, Tesla and many more companies are doing right now. Liked? Get into the platform and start investing today! Made in collab with Renan Costa. 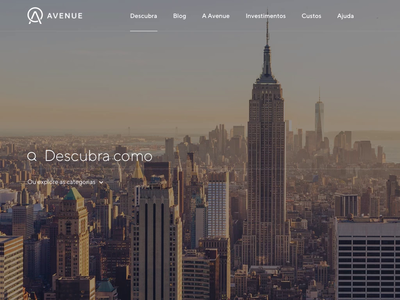 Broker Home Page — Avenue Securities is an american broker for brazilians. The project was intense and amazing to work with. 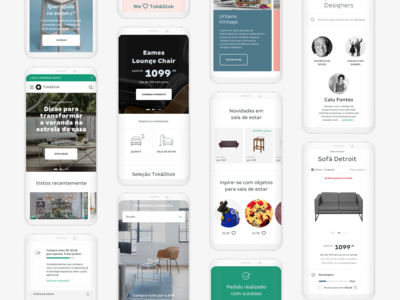 The home page shows cases of successful customers. Made in collab with Renan Costa. Order Confirmed — As the project is for an ecommerce, there's always gonna be orders. We tried to make it a little bit more different than the stock template provided by the platform. 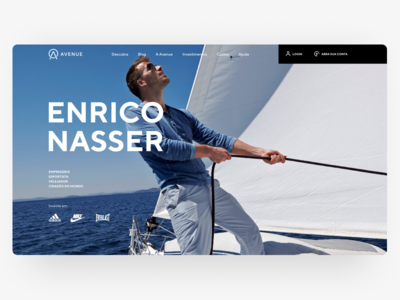 Made in collab with Fernando Paravela, Renan Costa, Rafael Oliveira and Beatriz Lopes. 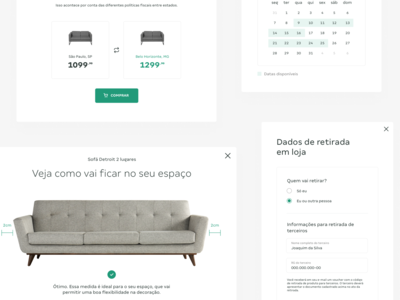 Sometimes modals are inevitable — Made in collab with Fernando Paravela, Renan Costa, Rafael Oliveira and Beatriz Lopes. 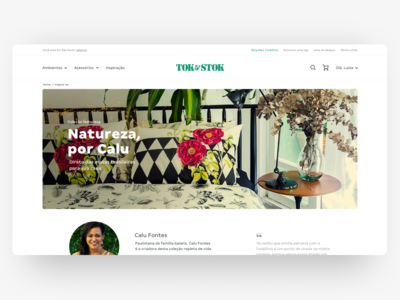 Responsive design for all Tok&Stok pages — As mobile access to the web grows faster, we had to have in mind that the major use for the website would be on smartphones. 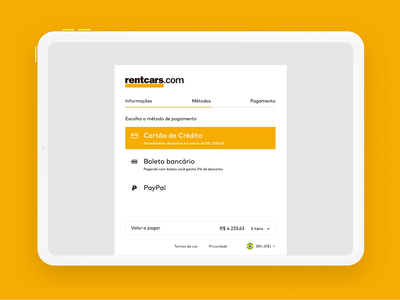 All the experience was first designed to mobile, and then adapted to the desktop. It was fun and a bit challenging with some parts. Made in collab with Fernando Paravela, Renan Costa, Rafael Oliveira and Beatriz Lopes. 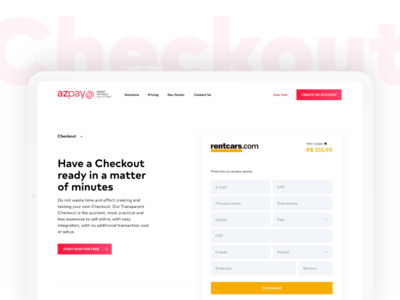 The VTEX Checkout — The checkout experience is where we couldn't do much. 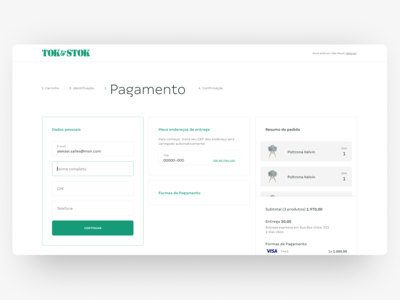 As Tok&Stok uses VTEX, an ecommerce solution, the checkout is limited to elements style change only - no way to modify anything for better UX with the system architecture. Made in collab with Fernando Paravela, Renan Costa, Rafael Oliveira and Beatriz Lopes. 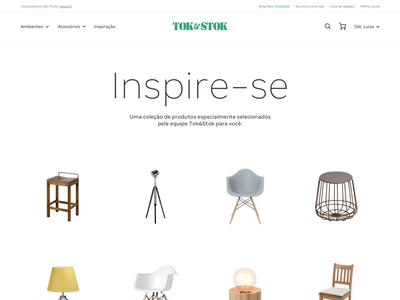 Tok&Stok Home Page — The home page is where the store would share their campaigns, showcase the most selled products, instigate users to check out the Inspire Yourself area, read home design articles on the blog, and more. We tried to do something clean, yet very contentful. Made in collab with Fernando Paravela, Renan Costa, Rafael Oliveira and Beatriz Lopes. 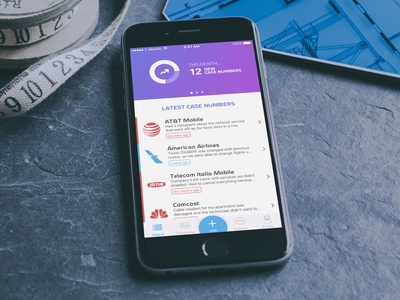 Inspire Yourself in many ways — Another way for users to inspire themselves. Made in collab with Fernando Paravela, Renan Costa, Rafael Oliveira and Beatriz Lopes. 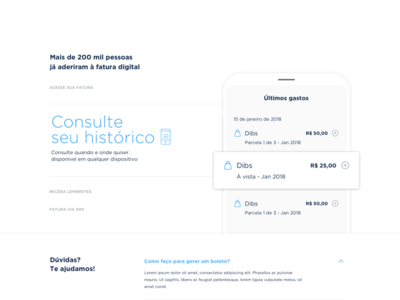 Discover — This part of the website is designed to let future customers to find where they can invest - which sector, which companies. With this hero section we tried to instigate the user to find out more about different topics that may be related to them. The suggestions would appear changing the background image accordingly. Made in collab with Renan Costa. 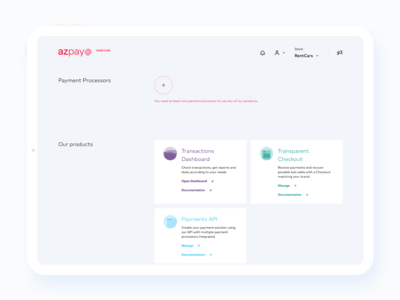 Product Page - Transparent Checkout — The Transparent Checkout is the easiest way for our clients to integrate a payment solution into their website and start selling within a few minutes of setting it up. On the hero's right side there's an actual Checkout embbeded so anyone can try it out how it really works. No static image, just the product working straight away. 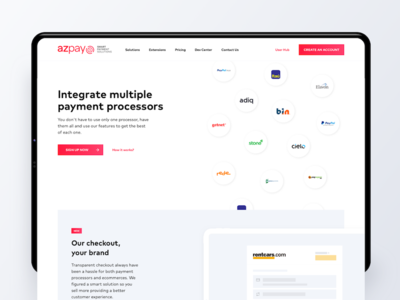 AZPay Home Page - Smart Payment Solutions — After some iterations we ended up on this home page version for our new website. 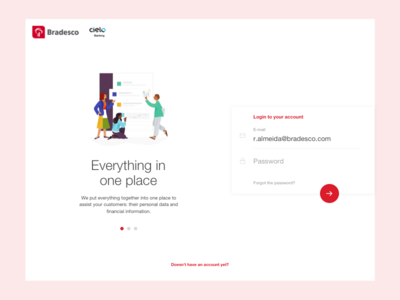 The new website shows the company's new strategy: from a payment gateway to a complete suite of smart payment solutions - launching with it, the new Transparent Checkout. 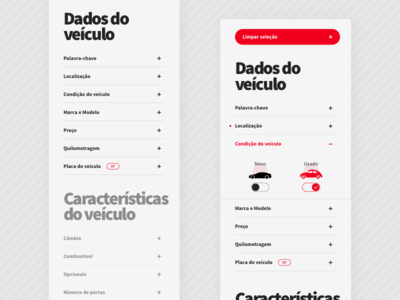 [Webmotors] Search concept — I love Webmotors, but I think they need to update the layout and design of the search and results. The UX isn't good, UI is just acceptable. I changed as little as possible functionality wise, makign a design doable using their current structure and features. 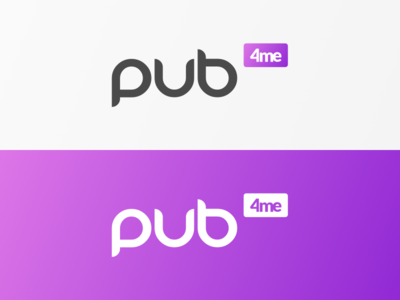 [Pub 4me] Logo — Got invited to help the devs from pub4.me to design a better experience for their users. 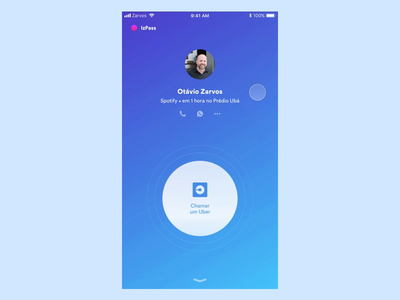 The service was all made by developers, they never had a designer to help out, so I accepted and started collaborating with them to improve UX. [Webcharts] Logo — Made a mockup of a logo for a new product of the company I worked a few months back. The product is about charts and data visualizaiton. Wanted to make something with flat colors, simple and minimalistic. Wish I was better at branding. 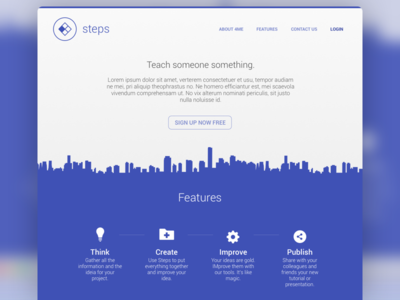 Steps (4me) — Landing page for a startup's new web service. Indigo was clearly the chosen color by everyone involved in the project, so I went full Indigo mode on this one. 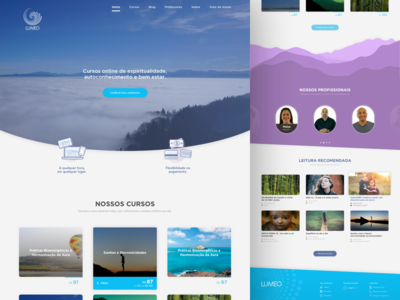 [Lumeo] Redesign — Got assigned to redesign Lumeo's website (lumeo.com.br). Added two more colors to their pallete. 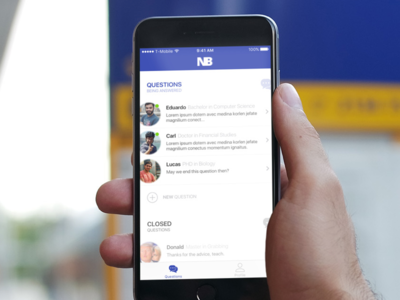 [NB] Messages List — Started to design a new app for a friend. It's supposed to connect teachers and students somewhat like Uber. Gonna try to show you tomorrow another screen.